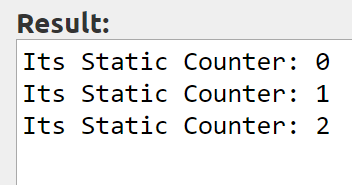 What is Static Method and Property? // static methods and properties are defined with the static keyword. How do we access or use Static Methods and Properties? Note: After the scope resolution operator, the property name must be start with a $ (dollar sign). 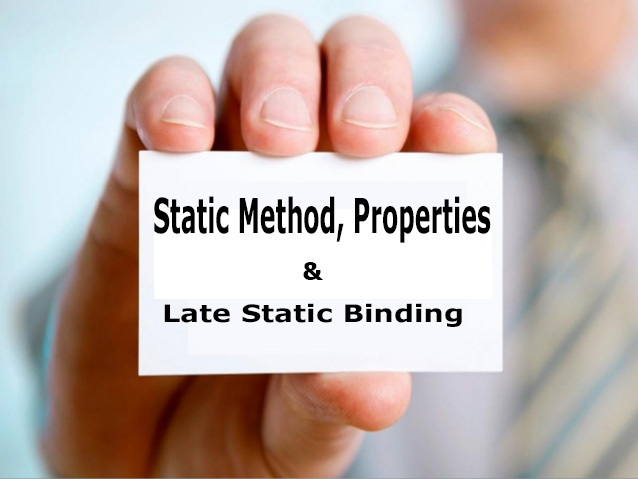 What is Late Static Binding? Firstly, We have created a class named Course, inside of this class there is a static property named $courseName and it’s value is “Professional PHP”. And then we also create a static method named getCourseName() which will return the value of $courseName property. Notice that, we have used “::” scope resolution Operator inside the Course class to access the static property. Secondly, We have created a child class named Student from Parent Course class. And Student class also have a static property named $courseName which value is “Laravel”. Thirdly, We have called getCourseName method from Parent Course class to Child Student class. So that, we get “Laravel” as course name for Student child class. However, the getCourseName method of the course class returns us “PHP Professional” as result instead of “Laravel”. The reason is that self keyword does not specify a child or any other class except the class that is called. Now we will get our desired result.